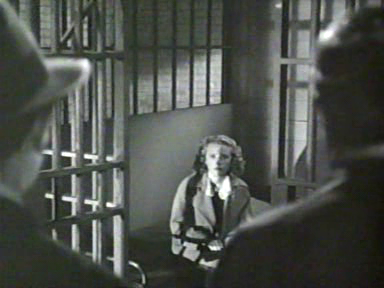 An ex-con (John Garfield) embittered about being wrongly imprisoned is picked up for train-hopping and sent to a work farm, where he falls in love with the stepdaughter (Priscilla Lane) of a cruel foreman (Stanley Ridges) who dies shortly after a fight. On the lam, the falsely accused couple live a low-key life thanks to the generosity of a deli owner (Ferike Boros) who hires them, and later the owner of a newspaper (Alan Hale) who hires Garfield as a photographer — but the murder allegation continues to haunt them, and Garfield is convinced he’ll never get an even break. 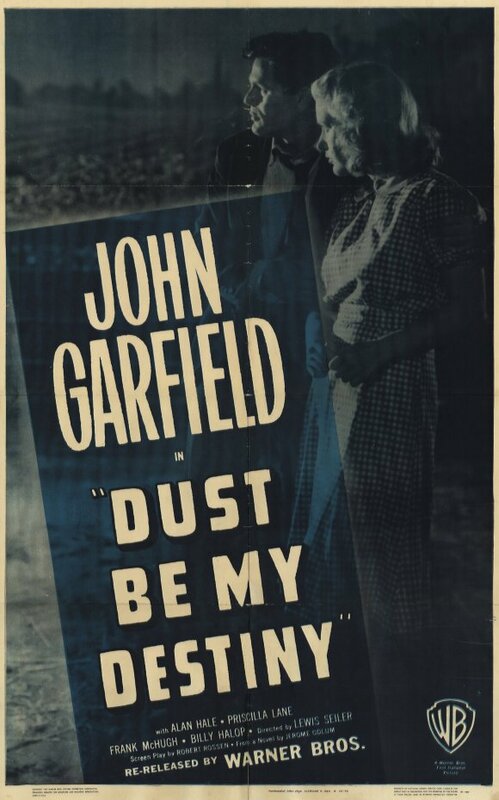 Peary asserts that this “exciting, romantic, well-acted” Warner Brothers flick — a “sleeper” — is “one of the best couple-on-the-lam films”, with Garfield and Lane (who he argues gives “her most appealing performance”) playing “a couple you can really root for.” Sadly, I disagree on all counts. 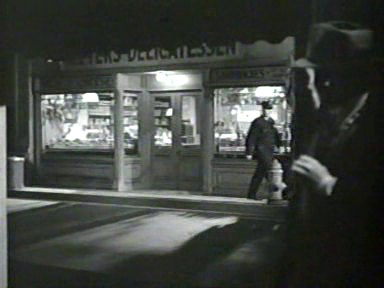 Lane’s performance comes across as poorly directed, and the outcome of nearly every scene is predictably telescoped; as noted in the original New York Times review by Frank Nugent, “It’s not even fun anymore, outguessing the script” of a film which lies in “an apparently interminable line of melodramas about the fate-dogged boys from the wrong side of the railroad tracks.” Several key factors play against the film’s success. First, Garfield has a chip on his shoulder from the get-go: we never have a chance to see him as anything but a bitterly doomed protagonist who can’t seem to avoid fighting at the worst times. Meanwhile, the world Garfield and Lane inhabit is too neatly black-and-white, with most primary characters either out to get the couple, or convinced they’re just a plucky pair needing a decent job. Most egregiously, there’s no way Garfield and Lane would or could have a chance at marital bliss once they initially run away from the law; I know this was a different era, but isn’t it inevitable they’ll be found? The most labored scene shows Lane attempting to strike out on her own due to the sheer exhaustion of being on the lam, only to realize within a few minutes that being with Garfield is worth it no matter what (though nothing has changed about their circumstances). Call me a sourpuss, but I wasn’t engaged by this one at all. No; only seek this one out if you’re a true Garfield fan.